Last year, Quantico debuted on ABC with an incredible story line and a new action star for the next millennium. The show was so innovative and original, that it jumped quickly to the top of the ratings and was easily renewed. ABC thought the show was strong enough that it could draw viewers on any night, in any time slot, but they couldn't be more wrong. Quantico's first season was one of the best seasons of television I've ever seen, but it was the kind of story that left many viewers questioning, what else could they possibly do afterwards? In only it's second season, Quantico set two television records. The first, saw the biggest drop in rating ever between a first season and a second. The second, saw the show renewed for a third season, as it had some of the highest DVR and on demand numbers of any show ever! Quantico was renewed based solely on DVR and on demand numbers, something that is unheard of and as little as five years ago never would have happened. The series started with a bang, a big one, as terrorist blew up New York's Penn Station and immediately blamed for it, an FBI agent of middle eastern decent, Alex Parrish (Priyanka Chopra). She's an introverted person, and she knows she's been set up, by the only people who could have, one of her classmates from her time at the FBI academy at Quantico, she graduated from a year earlier. From there, each episode is a mix of Alex on the run in real time, trying to figure out who set her up and flashbacks to her time at the academy, showing her interacting with her classmates as she tries to remember anything she may have missed. TV shows just aren't written this well, it just doesn't happen, and when it does, it's usually in a ten episode cable series. I have never seen a network show that was this clever and gripping. Aside from the writing, Bollywood star, Priyanka Chopra, made the leap to Hollywood in a way that hasn't been done before. While Bollywood is just as big as Hollywood, it's biggest stars have never enjoyed the same success stateside, until now. She was beyond impressive and regardless of what happens with Quantico, has a bright future ahead of her. Season two just started streaming and it's next up on my list, but like many, I am beyond curious about what could possibly happen next. For better or worse, the mystery was solved in season one, at least that's what we believe. What could possibly be left for season two? We saw them graduate the academy and we saw the end of the case, supposedly (I'm still a bit skeptical), where does the series go for here. 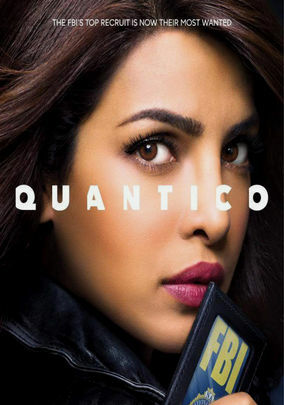 Quantico always struck me as that series that was one hell of an idea, but if it succeeded, and it did, how does one keep the story going and keep it going with the same intensity? Similar shows with big ideas and tremendous first seasons like The Killing, The Riches, Under The Dome, and Wayward Pines quickly fizzled out. Will that ultimately be the fate of Quantico, or will it stand the test of time?